The Mobiess platform allows organisations to support industry best practice, compliance, legislation and regulatory standards, ensuring customers have the confidence they can meet these changes cost effectively. Our goal is to help businesses across all sectors provide better services by mobilising their workforce. 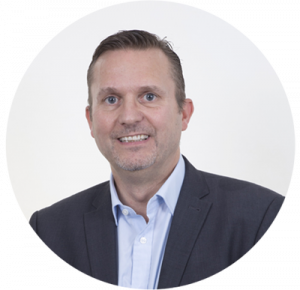 Mobiess was founded in 2009 by Karl Horner to provide focused mobile business solutions to organisations that require control of their mobile processes and the integration into their existing back office solutions. Since 2010 mobiess has been helping both SME and corporate customers achieve their goals. The management team at Mobiess have over 50 years of collective experience in delivering Facilities Management solutions, and together with selected partners we offer full range of professional services to support organisations across the Facilities and Asset Management industry. Focusing purely on mobile development means Mobiess can rapidly bring innovation to customers. Commercial off-the-shelf applications, especially applications provided by an existing back office software vendor typically lack the precision required and map poorly to your operational processes. The Mobiess platform incorporates a powerful scripting and rules engine that provides unique workflow to enable configuration to the way you work. The Mobiess platform integrates via series of standard API’s and is compactible with most third-party software applications, allowing data to be integrated to almost any existing back office CRM/CAFM/IWMS. As part of our strategy we provide customers with standard application templates as the basis of any project thus reducing the time to market for their application’s and project costs. The flexibility of the Mobiess platform allows us to deliver applications and solutions across any business sector or vertical market.